Well it has been pretty warm around these here parts. Some might even say TOO warm, but it is definitely warm enough to find some new refreshing treats to help everyone stay cool out there. 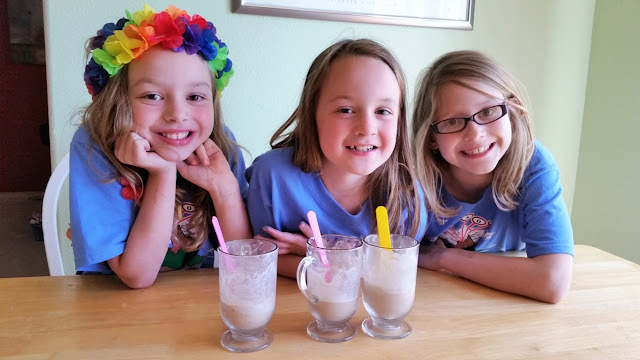 My girls love root beer floats and I was wondering if we could use our ice cream maker to create some kind of root beer float slushie. Fast forward to a few ingredients later, and I think we found ourselves a winner! 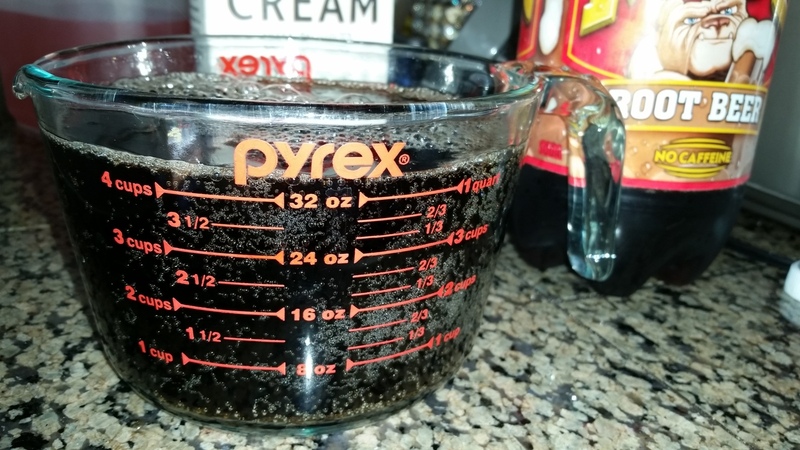 Pour the 4 1/2 cups of root beer into a measuring cup. Add the 1 cup of heavy cream and the 3/4 cup of sugar into a larger bowl. Once they are mixed together and the sugar is dissolved, pour the entire concoction into your chilled inner ice cream canister for your machine, place the stirring paddle, place the lid on securely, and turn on the machine for 22 min. 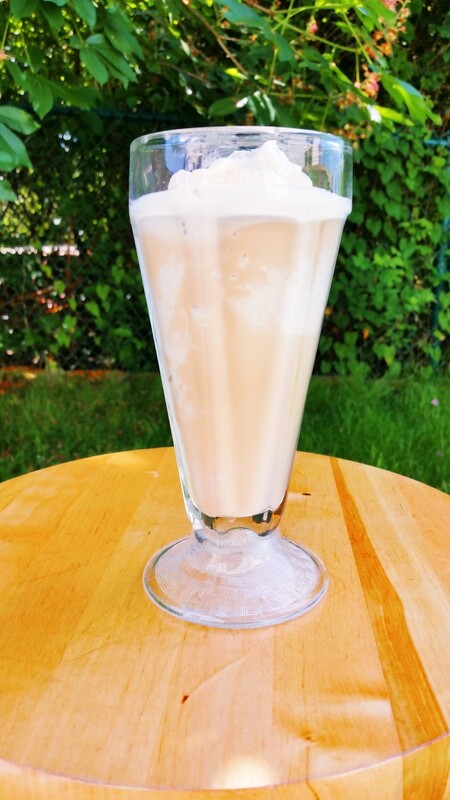 The heavy cream and sugar have mixed together during the spin time, to give it that mock ice cream flavor, and the carbonation in the root beer stays bubbly and fun. Hand these off to some near by small fry and you will have some happy smiles... Oh, here are some small fry now. We just loved the way this turned out. You know you want a root beer slushie right this minute, don't you! Oh and by they way, after we had our fill, we still had a bit of this deliciousness left over. So I put it in a container with a lid and put the whole thing in the freezer for later, when hubby and my other daughter would be home. 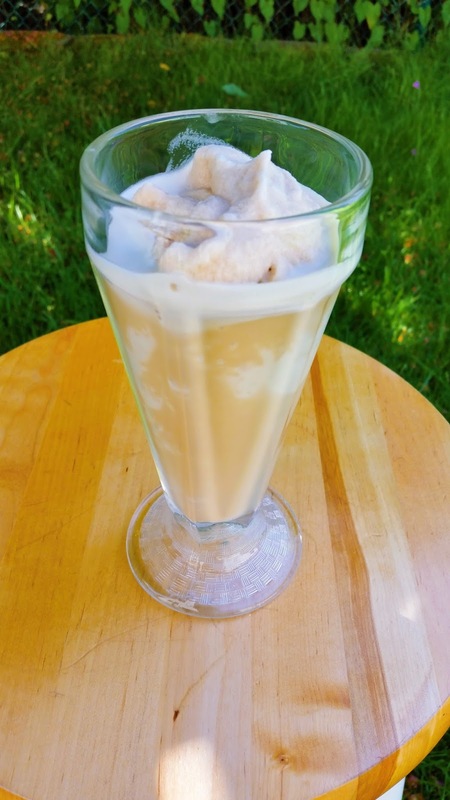 The thing that makes this different than freezing ice cream, is that it never really hardens into a scoop-able ice cream, the soda factor makes it freeze almost as is. So when they came back later, I could just scoop and scrape out more into the cup and it still had the texture of a slushie. Now if you are saying to yourself, darn, this looks delicious, but I don't have me one of them fancy 2-quart ice cream makers. My question to you is... WHY? You need one of these handy dandy machines, like now. 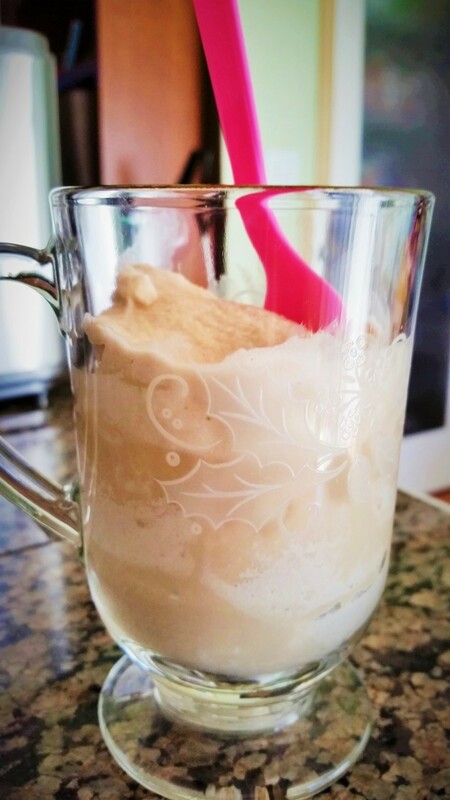 We made ours a gift for my hubby for father's day three years ago, and we have made so many homemade ice creams and treats using this bad boy since. I seriously have not bought ice cream now in years. We make it fresh, we know all the ingredients that go into it (often using seasonal fruit and fruits from our own garden), and we are always experimenting with new ideas and flavors, and now refreshing beverages. Hence, the birth of the root beer slushie.